People of all ages are encouraged to add chiropractic to their strategy for warding off and fighting the flu and its effects – swine flu or otherwise. Spinal adjustments can have a positive effect on immune function according to a growing number of researchers who are exploring the common denominators in disease processes, and the role of the nervous, immune, and hormonal systems in development of immune related illnesses. Chiropractic corrects spinal abnormalities called vertebral subluxations that result in interference of the nervous system. Since the nervous system controls all functions of the body -- including the immune system -- chiropractic care can have a positive effect on immune function. “Contemporary research is beginning to shed light on the neurobiological mechanisms which may explain the outstanding clinical results chiropractors have experienced when managing patients with viral and infectious diseases,” stated Dr. Christopher Kent, Co- Founder of Chiropractic Leadership Alliance. Dr. Kent explained: “A comprehensive review of the research literature reveals the current understanding that the brain and immune system are the two major adaptive systems in the body. During an immune response, the brain and the immune system 'talk to each other' and this process is essential for maintaining homeostasis or balance in the body." Since its inception, chiropractic has asserted that viruses and microbes don't threaten us all equally and that a healthy immune system easily repels most invaders. The immune system protects us from the flu, as well as any other infectious disease, and strives to get us well again when we do fall ill. Our immune system, like every other system in the body, is coordinated and controlled by the nervous system. Chiropractors are also aware of the importance of positive health life style practices (rest, drinking ample quantities of water, diet, exercise, proper diet, use of multivitamins and minerals, and stress reduction approaches) that can also positively influence the nervous system and immune response. According to a large study of the chiropractic profession recently conducted by the Institute for Social Research, Ohio Northern University (McDonald et al., 2003), chiropractors also customarily advise their patients as to the benefits of these other modalities in optimizing overall health. Researchers reported that in Davenport, Iowa, out of the 93,590 patients treated by medical doctors, there were 6,116 deaths -- a loss of one patient out of every 15. Chiropractors at the Palmer School of Chiropractic adjusted 1,635 cases, with only one death. Outside Davenport, chiropractors in Iowa cared for 4,735 cases with only six deaths -- one out of 866. During the same epidemic, in Oklahoma, out of 3,490 flu patients under chiropractic care, there were only seven deaths. Furthermore, chiropractors were called in 233 cases given up as lost after medical treatment, and reportedly saved all but 25. In another report covering 4,193 cases by 213 chiropractors 4,104 showed complete recovery. One such study, conducted by Patricia Brennan Ph.D and her team, found that when a chiropractic “manipulation” was applied to the middle back, the response of polymorphonuclear neutrophils (white blood cells) taken from blood collected 15 minutes after the manipulation was significantly higher than blood collected 15 minutes before and 30 and 45 minutes after the chiropractic procedure. This research demonstrated an “enhanced respiratory burst” following the chiropractic adjustment. This “burst” is needed for our immune cells to destroy invading viruses and bacteria. Another small study of HIV positive patients was conducted to study the effects of specific chiropractic adjustments to correct vertebral subluxations in the upper neck on the immune systems of HIV positive individuals. Over the six-month period of the study, the group that did not receive chiropractic care experienced a 7.96% decrease in CD4 cell counts, while the adjusted group experienced a 48% increase in CD4 cell counts over the same period. A large retrospective study conducted by Robert Blanks Ph.D and colleagues studied 2,818 individuals undergoing chiropractic care - these individuals reported an average overall improvement, ranging from 7-28%, in a battery of physical symptoms including stiffness/lack of flexibility in the spine, physical pain, fatigue, incidence of colds and flu, headaches, menstrual discomfort, gastrointestinal disorders, allergies, dizziness and falls (Blanks et al., 1997, Journal of Vertebral Subluxation Research). More importantly, the incidence of colds and flu was reduced by an average of 15% in this large population who were undergoing regular chiropractic care. “In addition to the passive recommendations regarding hand washing, avoiding large gatherings, coughing and sneezing into your hands – it makes a great deal of sense to do everything you can to ensure that your immune system is functioning at its best. And that strategy should include chiropractic care” stated Dr. McCoy. 1. Riley, G.W. Osteopathic Success in the Treatment of Influenza and Pneumonia. American Osteopathic Association – Chicago Session. July 1919. Journal of the American Osteopathic Association, August 1919. 2. Riley, G.W. Osteopathic Success in the Treatment of Influenza and Pneumonia. American Osteopathic Association – Chicago Session. July 1919. Journal of the American Osteopathic Association, August 1919. Special Reprint Journal of the American Osteopathic Association, Vol. 100. No. 5, May 2000. 3. Noll, DR., Shores, JH., Gamber, RG. Benefits of Osteopathic Manipulative Treatment for Hospitalized Elderly Patients with Pneumonia. Journal of the American Osteopathic Assocaition. Vol. 100. No. 12. December 2000. 4. Breithaupt, T., Harris, K., Ellis, J. Thoracic lymphatic pumping and the efficacy of influenza vaccination in healthy young and elderly populations. Journal of the American Osteopathic Association. Vol. 101. No. 1. January 2001. 5. Noll DR, Degenhardt BF, Stuart MK, Werden S, McGovern RJ, Johnson JC. The effect of osteopathic manipulative treatment on immune response to the influenza vaccine in nursing homes residents: a pilot study. Altern Ther Health Med. 2004 Jul-Aug;10(4):74-6. 6. Degenhardt BF, Kuchera ML. Update on osteopathic medical concepts and the lymphatic system. J Am Osteopath Assoc. 1996 Feb;96(2):97-100. 7. Allen TW. Coming full circle: osteopathic manipulative treatment and immunity. J Am Osteopath Assoc. 1998 Apr;98(4):204. 8. Schmidt IC. Osteopathic manipulative therapy as a primary factor in the management of upper, middle, and pararespiratory infections. J Am Osteopath Assoc. 1982 Feb;81(6):382-8. 9. Ward, EA. Influenza and Its Osteopathic Management. Eastern Osteopathic Association’s Seventeenth Annual Convention. New York, April 3, 1937. J. Am Osteopath Assoc. Sept. 1937. 10. Ward, EA. Influenza and Its Osteopathic Management. Eastern Osteopathic Association’s Seventeenth Annual Convention. New York, April 3, 1937. J. Am Osteopath Assoc. Sept. 1937. Special Reprint. J. Am Osteopath Assoc. Vol. 100. No. 5. May 2000. 11. Smith, KR. One hundred thousand cases of influenza with a death rate of one-fortieth of that officially reported under conventional medical treatment. Annual Convention of the American Association of Clinical Research, New York. Oct. 18, 1919. J. Am Osteopath Assoc. January, 1920. 12. Smith, KR. One hundred thousand cases of influenza with a death rate of one-fortieth of that officially reported under conventional medical treatment. Annual Convention of the American Association of Clinical Research, New York. Oct. 18, 1919. J. Am Osteopath Assoc. January, 1920. Special Reprints. J. Am Osteopath Assoc. Vol. 100. No. 5. May 2000. 23. Selano, Grostic et al: The effects of specific upper cervical adjustments on the CD4 counts of HIV positive patients. CRJ. Vol 3. # 1. 1994. 24. Brennan et al: Enhanced neutrophil respiratory burst as a biological marker for manipulation forces. JMPT Vol. 15 # 2 Feb. 1992. 26. Brennan PC, Kokjohn K, Kaltinger CJ, Lohr GE, Glendening C, Hondras MA, McGregor M, Triano JJ “Enhanced Phagocytic Cell Respiratory Burst Induced by Spinal Manipulation: Potential Role of Substance P” J Manipulative Physiol Ther 1991; 14(7): 399-407. 27. Tuchin PJ “The Effect of Chiropractic Spinal Manipulative Therapy on Salivary Cortisol Levels.” Australian Journal of Chiropractic and Osteopathy 2: 1998; pp. 86-92. 28. Vora GS, Bates HA “The Effects of Spinal Manipulation on the Immune System (A Preliminary Report)” The ACA Journal of Chiropractic 1980; 14: S103-105. 29. Masarsky CS, Weber M “Chiropractic and Lung Volumes - A Retrospective Study” ACA Journal of Chiropractic 1986; 20(9): 65-67. 30. Kessinger R “Changes in Pulmonary Function Associated with Upper Cervical Specific Chiropractic Care” J Vertebral Subluxation Res. 1997;1(3): 43-49. 31. Menon M, Plaugher G, Jansen R, Dhami MSI, Sutowski J “Effect of Thoracic Spinal Adjustment on Peripheral Airway Function in Normal Subjects - A Pilot Study” Conference Proceedings of the Chiropractic Centennial Foundation 1995; July 6-8: 244-245. 32. Masarsky CS, Weber M “Chiropractic and Lung Volumes - A Retrospective Study” ACA Journal of Chiropractic 1986; 20(9): 65-67. 33. Allen JM “The Effects of Chiropractic on the Immune System: A Review of Literature” Chiropractic Journal of Australia 1993; 23: 132-135. 34. Rhodes WR: "The Official History of Chiropractic in Texas." Texas Chiropractic Association. Austin, TX. 1978. 35. "Chiropractic Statistics." The Chiropractic Research and Review Service. Burton Shields Press. Indianapolis, IN. 1925. 36. Wells BF, Janse J: "Chiropractic Practice. Volume 1. Infectious Diseases." National College of Chiropractic. Chicago, IL. 1942. 40. Brennan PC, et al. Immunologic correlates of reduced spinal mobility. Proceedings of the 1991 International Conference on Spinal Manipulation (FCER):118. 41. Todres-Masarsky M, Masarsky CS. The Somatovisceral Interface: Further Evidence. In Masarsky CS, Todres-Masarsky M (editors). Somatovisceral Aspects of Chiropractic: An Evidence-Based Approach, 2001, Churchill Livingstone, New York. 42. Korr IM: "Andrew Taylor Still memorial lecture: research and practice -- a century later." J Am Osteopath Assoc 1974 73:362.Murray DR, Irwin M, Reardon CA, et al: "Sympathetic and immune interactions during dynamic exercise. Mediation via a beta 2 - adrenergic-dependent mechanism." Circulation 1992 86(1):203. 43. Felten DL, Felten SY, Bellinger DL, et al: "Noradrenergic sympathetic neural interactions with the immune system: structure and function." Immunol Rev 1987 100:225. 44. Felten DL, Felten SY, Bellinger DL, Madden KS: "Fundamental aspects of neural-immune signaling." Psychother Psychosom 1993 60(1):46. 45. Kolata G: "Nerve cells tied to immune system." The New York Times May 13, 1993. 46. Hosoi J, Murphy GF, Egan CL et al: "Regulation of Langerhans cell function by nerves containing calcination gene-related peptide." Nature 1993 363(6425):159. 47. Undem BJ: "Neural-immunologic interactions in asthma." Hosp Pract (Off Ed) 1994 29(2):59. 48. Sternberg EM, Chrousos GP, Wilder RL, Gold PW: "The stress response and the regulation of inflammatory disease." Ann Intern Med 1992 117(10):854. 49. Fricchoine GL, Stefano GB: "The stress response and autoimmunoregulation." Adv Neuroimmunol 1994 4(1):13. 50. Ottaway CA, Husband AJ: "Central nervous system influences on lymphocyte migration." Brain Behav Immun 1992 6(2):97. 51. Weihe E, Krekel J: "The neuroimmune connection in human tonsils." Brain Behav Immun 1991 5(1):41. 52. Grossman Z, Heberman RB, Livnat S: "Neural modulation of immunity: conditioning phenomena and the adaptability of lymphoid cells." Int J Neurosci 1992 64(1-4):275. 55. Ali, S.; Hayek, R.; Holland, R.; Mckelvey, S.E. ; Boyce, K.; EFFECT OF CHIROPRACTIC TREATMENT ON THE ENDOCRINE AND IMMUNE SYSTEM IN ASTHMATIC PATIENTS. PROCEEDINGS OF THE 2002 INTERNATIONAL CONFERENCE ON SPINAL MANIPULATION. 2002 OCT Vol. Pgs. 58. Hoiriis, K.T. ; Edenfield, D.; Chiropractic and The Immune Response: A Literature Review JOURNAL OF VERTEBRAL SUBLUXATION RESEARCH. 2000 OCT Vol. 4(1) Pgs. 60. Spector NH. Anatomic and Physiologic connections between the central nervous system and the immune systems. Reprinted. In: Research Forum 1987;103-17. 61. Besedovsky HO, Del Rey A. Physiological Implications of the Immune-Neuro-endocrine Network. Psychoneuroimmunology, Academic Press, Inc. Second Edition. 1991;589-603. 62. van Breda WM, van Breda JM. A comparative study of the health status of children raised under the health care models of chiropractic and allopathic medicine. J Chirop Res. 1989;5(4):101-103. 63. Rose-Aymon S, Aymon M, Prochaska-Moss G, Moss R, Rebne R, Nielsen K. The relationship between intensity of chiropractic care and the incidence of childhood diseases. J Chirop Res 1989;5(3):70-7 . 64. Reubi JC, Horisberger U, Kappeler A, Laissue JA. Localization of Receptors for Vasoactive Intestinal Peptide, Somatostatin, and Substance P in distinct compartments of human lymphoid organs. Blood 1998;92(1):191-197. 65. Giron LT, Crutcher KA, Davis JN. Lymph nodes-A possible site for sympathetic neuronal regulation of immune response. Annals of Neurology 1980;8(5):520-525. 66. Murray DR., Irwin M, Rearden CA, Ziegler M, Motulsky H, Maisel AS. Sympathetic and Immune Interactions During Dynamic Exercise Mediation Via a Beta2-Adrenergic-Dependent Mechanism. Circulation 1992; 86:203-213. 67. Brennan PC, Graham MA, Triano JJ, Hondras MA, Anderson RJ,. Lymphocyte profiles in patients with chronic low back pain enrolled in a clinical trial. J Manip Physiol Ther 1994 17(4): 219-227. 68. Lohr GE, O’Brien JC, Nodine DL, Brennan PC. Natural killer cells as an outcome of chiropractic treatment efficacy. In: Proceedings of the Internationa1 Conference on Spinal Manipulation. Arlington, Virginia: Foundation for Chiropractic Education and Research 1990:109-12. 70. Ottaway CA, Husband AJ. Central nervous system influences on Lymphocyte Migration. Brain, Behavior, and Immunity. 1992;6(2):97-116. 71. Neveu PJ, Le Moal M. Physiological basis for neuroimmunomodulation. Fundam Clin Pharmacol 1990;4:281-305. 72. Giron LT, Crutcher KA, Davis JN. Lymph nodes-A possible site for sympathetic neuronal regulation of immune response. Annals of Neurology 1980;8(5):520-525. 73. McCain HW, Lamster IB, Bozzone JM, Gribic JT. Beta-Endorphin modulates human immune activity via nonopiate receptor mechanisms. Life Science 1982;31:1619-24. 74. Payan DG, Brewster DR., Goetzl EJ. Specific Stimulation of Human Lymphocytes by Substance P. J. Immunol. 1983;131(4):1613-15. 75. Payan DG, Brewster DR, Missirian-Bastian A,Goetzl EJ. Substance P Recognition by a Subset of Human T Lymphocytes. J Clin Invest. 1984;74:1532-39. 76. Mertelsmann R,Welte K. Human Interleukin 2: molecular biology, physiology and clinical possibilities. Immunobiol.1986;172:400-19. 77. Badalamente MA, Dee R, Ghillani R, Chien P, Daniels K. Mechanical Stimulation of Dorsal Root Ganglia Induces Increased Production of Substance P:A Mechanism for Pain Following Nerve Root Compromise. Spine. 1987;12(6):552-5. 78. Lindholm D, Neumann R, Meyer M, Thoenen H. Interleukin-1 regulates synthesis of nerve growth factor in non-neuronal cells of rat sciatic nerve. Nature 1987;330:658-659. 79. Lindholm D, Neumann R, Hengerer B, Thoenen H. Interleukin-1 increases stability and transcription of mRNA encoding nerve growth factor in cultured rat fibroblasts. J. Biol. Chem. 1988;263:16348-16351. 80. Neveu PJ, Le Moal M. Physiological basis for neuroimmunomodulation. Fundam Clin Pharmacol 1990;4:281-305. 81. Besedovsky HO, Del Rey A. Physiological Implications of the Immune-Neuro-endocrine Network. Psychoneuroimmunology, Academic Press, Inc. Second Edition. 1991;589-603. 82. Brennan PC, Kokjohn K, Triano JJ, Fritz TE,Wardip CL, Hondras MA. Immunologic correlates of reduced spinal mobility: preliminary observations in a dog model. In: Proceedings of the International Conference on Spinal Manipulation.Arlington, Virginia. Foundation for Chiropractic Education and Research. 1991:118-21. 83. Roszman TL,Carlson SL. Neurotransmitters and Molecular signaling in the Immune Response. Psychoneuroimmunology, Second Edition. Academic Press, Inc 1991:311-33. 84. Murray DR., Irwin M, Rearden CA, Ziegler M, Motulsky H, Maisel AS. Sympathetic and Immune Interactions During Dynamic Exercise Mediation Via a Beta2-Adrenergic-Dependent Mechanism. Circulation 1992; 86:203-213. 85. Ottaway CA, Husband AJ. Central nervous system influences on Lymphocyte Migration. Brain, Behavior, and Immunity. 1992;6(2):97-116. 86. Wells MR, Racis SP, Vaidya U. Changes in Plasma Cytokines Associated with Peripheral Nerve Injury. J Neuroimmunol. 1992;39:261-8. 87. Felten DL, Felten SY, Bellinger DL, Madden KS. Fundamental Aspects of Neural-Immune Signaling. Psychother Psychosom 1993;60:46-56. 88. Bellinger DL, Lorton D, Brouxhon S, Felten S, Felten DL. The significance of vasoactive intestinal polypeptide (VIP) in immunomodulation. Adv Neuroimmunol 1996;6(1):5-27. 89. Herzberg U,Murtaugh MP, Carroll D, Beitz AJ. Spinal Cord NMDA Receptors Modulate Peripheral Immune Responses and Spinal Cord c-fos Expression after Immune Challenge in Rats Subjected to Unilateral Mononeuropathy. J Neurosci. 1996;16(2):730-43. 90. Reubi JC, Horisberger U, Kappeler A, Laissue JA. Localization of Receptors for Vasoactive Intestinal Peptide, Somatostatin, and Substance P in distinct compartments of human lymphoid organs. Blood 1998;92(1):191-197. 91. Alcorn SM. Chiropractic treatment and antibody levels. J Aust Chiropractors Assoc 1977. 11(3):18-37. 93. Luisetto G, Spano D, Steiner W. et al. Immunoreactive ACTH, beta-endorphin and calcitonin before and after manipulative treatment of patients with cervical arthrosis and Barre’s syndrome. In: Napolitano E., editor.Research in chiropractic: Proceedings of ICA International Congress. Washington, DC: International Chiropractor’s Association. 1983;47-52. 94. Richardson DL, Kappler R, Klatz R. et al.The effect of osteopathic manipulative treatment on endogenous opiate concentration (abstract) J AM Osteopath Assoc 1984;84:127. 96. Christian GF, Stanton GJ, Sissons D, How HY, Jamison J, Alder B, Fullerton M, Funder JW. Immunoreative ACTH, Beta-endorphin and cortisol levels in plasma following spinal manipulative therapy. Spine 1988;13(12):1411-1417. 97. van Breda WM, van Breda JM. A comparative study of the health status of children raised under the health care models of chiropractic and allopathic medicine. J Chirop Res. 1989;5(4):101-103. 98. Rose-Aymon S, Aymon M, Prochaska-Moss G, Moss R, Rebne R, Nielsen K. The relationship between intensity of chiropractic care and the incidence of childhood diseases. J Chirop Res 1989;5(3):70-7 . 99. Kokjohn K, Kaltinger C, Lohr GE, et al. Plasma substance P following spinal manipulation. . In: Proceedings of the International Conference on Spinal Manipulation. Arlington,Virginia: Foundation for Chiropractic Education and Research. 1990:105-8. 100. Lohr GE, O’Brien JC, Nodine DL, Brennan PC. Natural killer cells as an outcome of chiropractic treatment efficacy. In: Proceedings of the Internationa1 Conference on Spinal Manipulation. Arlington, Virginia: Foundation for Chiropractic Education and Research 1990:109-12. 101. Brennan PC, Kokjohn K, Kaltinger CJ, Lohr GE, Glendening C, Hondras MA, McGregor M, Triano JJ. Enhanced phagocytic cell respiratory burst induced by spinal manipulation: Potential role of substance P. J Manip Physio Ther.1991;14(7):399-408. 102. McGregor M, Brennan P,Triano JJ. Immunologic response to manipulation of the lumbar spine. In: Proceedings of the International Conference on Spinal Manipulation. Arlington,Virginia: Foundation for Chiropractic Education and Research 1991:153-5. 103. Brennan PC,Triano JJ,McGregor M, Kokjohn K, Hondras MA, Brennan PC. Enhanced neutrophil respiratory burst as a biological marker for manipulation forces: Duration of the effect and association with substance P and Tumor Necrosis Factor. J Manip Physiol Ther. 1992;15(2):83-9. 104. Brennan PC, Graham MA, Triano JJ, Hondras MA, Anderson RJ,. Lymphocyte profiles in patients with chronic low back pain enrolled in a clinical trial. J Manip Physiol Ther 1994 17(4): 219-227. 106. Injeyan J, Ruegg, Injeyan S. Phenotypic analysis of peripheral blood lymphocytes in normal subjects receiving SMT. International Conference on Spinal Manipulation. October, 2002. 107. Spector NH. Anatomic and Physiologic connections between the central nervous system and the immune systems. Reprinted in: Research Forum 1987;103-17. 108. Fidelibus JC.An overview of neuroimmunomodulation and a possible correlation with musculoskeletal system function. J Manip Physiol Ther 1989;12(4):289-292. 109. Allen, JM. The effects of chiropractic on the immune system: A review of the literature. Chiropractic Journal Aust 1993;23:132-5. 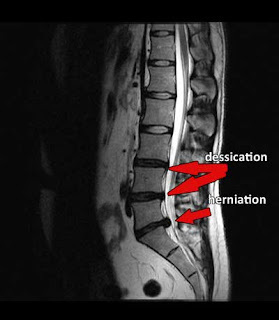 Chiropractor NYC, Herniated disc doctor NYC. Nice Post, Chiropractic Manipulative Therapy helps put movement in a joint that is fixated, the chiropractor utilizes chiropractic manipulation or an adjustment to help restore normal function and motion in a joint.